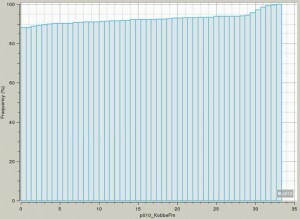 Figure 1 Cumulative distribution (%) of oil column (m) at location 1. The bars show the probability that the oil column is less or equal to the value along the x-axis. The Barents Sea Charge Study from 2014 provides the framework for a detailed model of the Hoop and Fingerdjupet area. The updated model provides accurate calibration to all drilled wells in the area. From this stochastic calibrated model, maps of migration probability (Flowrisk) and risk of not having oil phase (Phaserisk) were computed. 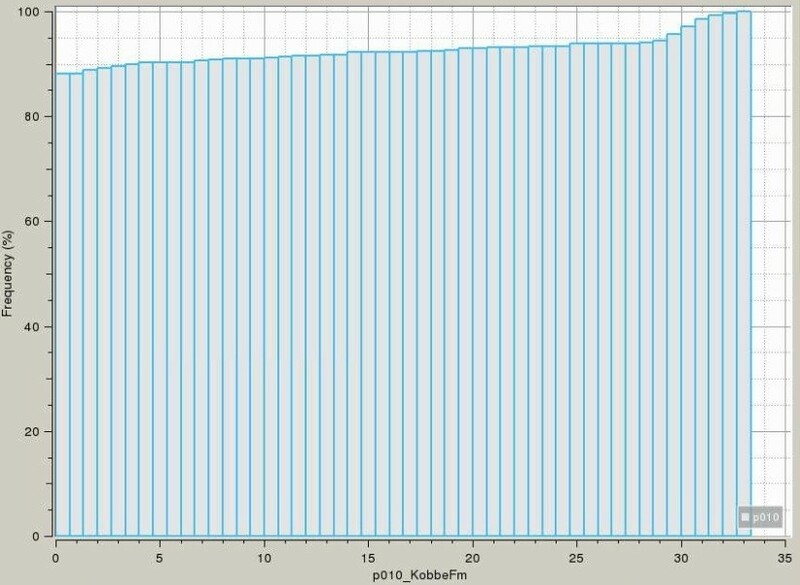 Our iterative Monte Carlo technique enabled us to calibrate the model effectively and the best simulation runs now show average differences between modelled and measured oil columns around 10m. In the final Monte Carlo iteration, we use the best 500 of 6900 runs to create oil and hydrocarbon column heights distributions for 40 prospect locations within the 23rd round blocks. 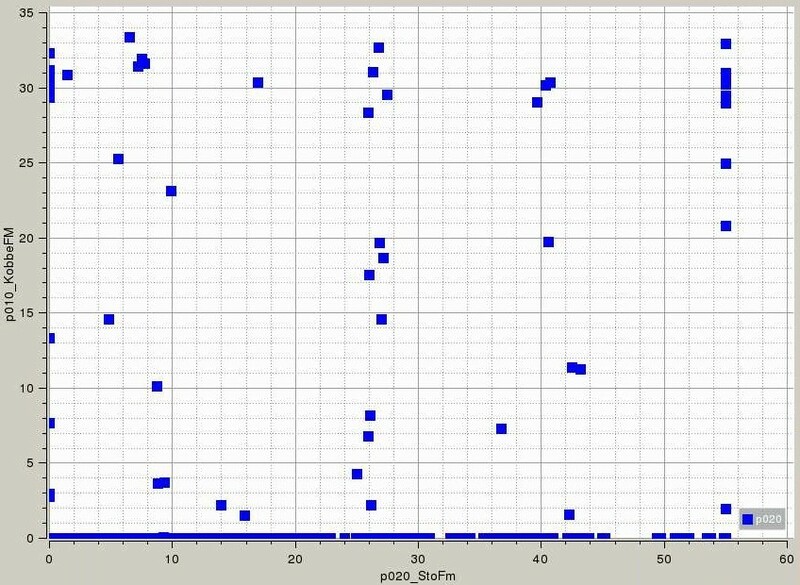 Figure 1 shows the oil column distribution for a location with almost 70 % probability of finding oil. There is a 20 % probability of finding more than 40m of oil at this location, and there is a 12 % probability that a well drilled at this location will not encounter the oil-water contact. Figure 2 Cumulative distribution (%) of oil column (m) at location 2. Figure 2 shows results from a location in another trap where there is a 90% probability of not finding oil at all, making this a high-risk prospect. Figure 3 shows a cross-plot of the modelled oil columns of the two locations. This suggests that if a well is drilled at location 1 and results in a 25m oil column, there are simulations that show oil also in location 2. The drilling results from location 1 may therefore later be used to mature the prospect in location 2. Based on the results from the detailed column height analysis, the available blocks can be ranked in order of probability of having oil accumulations at present day. For interested oil companies it may also be possible to integrate their own interpretations and compute the resulting charge risks for their own data sets. 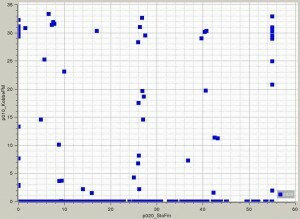 Figure 3 Cross-plot of oil columns (m) at location 2 (y-axis) versus location 1 (x-axis). 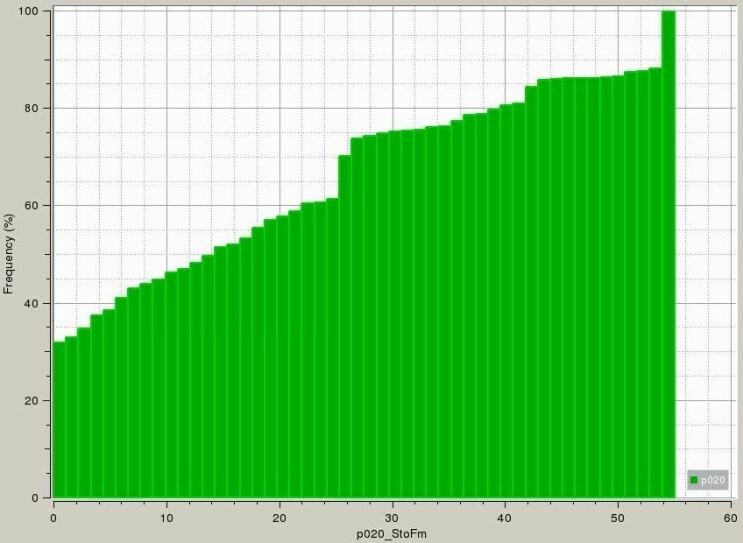 The plot shows results from the best 500 simulation runs. Additional information about this work can be found at: http://www.migris.no/barents-sea-charge-oil-hoop-area/.